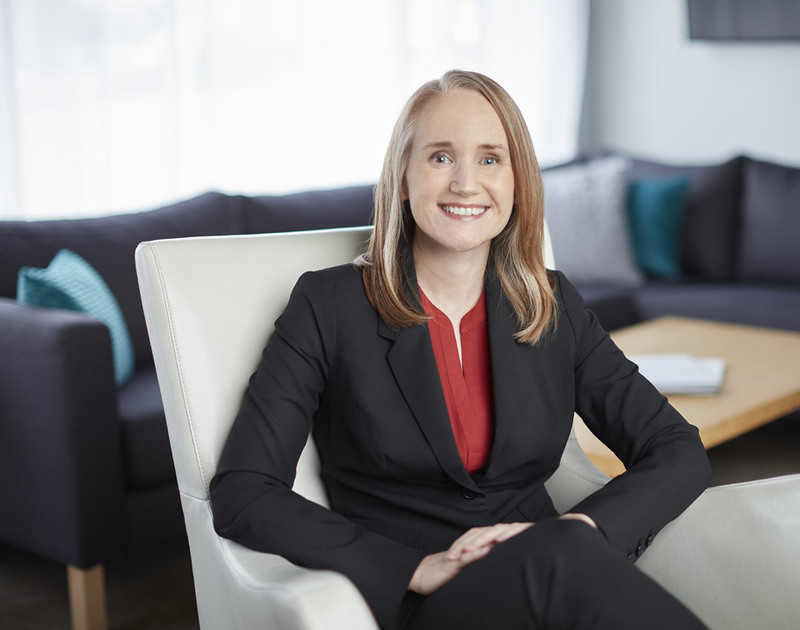 Sarah draws upon her expertise as a social scientist and former debater to anticipate juror reaction, develop key messages and offer on-point strategic advice to counsel regarding trial themes and jury selection. After grad school, I accepted a position as Director of Debate and Assistant Professor at Trinity University in San Antonio. There, I taught persuasion, social movement, public speaking, argumentation and debate. After several years, I wanted to try something different. I learned about a position at JurySync and suspected it might be a good fit for me. It turns out I was right. The position appeals to my intellectual curiosity and desire to continue learning. I also love that the work is full of variety: each case and every mock jury exercise is different. Q: Tell us about your educational background? I have a PhD in Communication Studies from Kansas University. My focus was on rhetoric, persuasion and argumentation. I also have a BA in Political Science and Sociology with a minor in Women’s Studies from Concordia College in Moorhead, MN. Humans are essentially storytellers. Humans participate in the world as storytellers and observers of narratives. Often, a good story can be more convincing than a good argument. Similarly, a good (affirmative) story tends to be more compelling than refutation or denial of another narrative. This is why we often recommend supplanting the other side’s story with one of our own – to give jurors something to believe rather than something not to believe. Q: What are you known for among family and friends? I’ve been told that I’m thoughtful, funny and listen to too much NPR. Most of my time outside of work is spent with family. We like watching college basketball, specifically KU basketball (Rock Chalk!) and trying new restaurants or recipes. I also spend a lot of time reading. Q: What do you like best about working at JurySync? Our team is dedicated, hardworking and intelligent; I love that. I also love that we get to work on a wide variety of complex cases, with some of the brightest and hardest working legal teams in the country. Topp, S. S. (2017). Ronald Reagan’s Economic Recovery Address, 2/18/1981. Reagan’s Pivot to Policy: Lessons for Trump on Moving from Principles to Prescriptions. In A. Kall (Ed. ), Mr. Speaker, The President of the United States: Addresses to a Joint Session of Congress. Amazon Digital Services, LLC. Topp, S. S. (2017). President Reagan First Inaugural Address, 1/20/1981. The Ronald and the Donald: What Trump can Learn from Reagan. In A. Kall (Ed. ), I Do Solemnly Swear: Presidential Inaugural Address of the Last Forty Years. Amazon Digital Services, LLC. Topp, S. S. and Bricker, B. J. (2016). Trump in Manchester: What his Performance can Teach Hillary in the General Election Debates. In A. Kall (Ed. ), Debating the Donald. Amazon Digital Services, LLC. Topp, S. S. (2015). Disturbing Images: Medical Photography of the Bodies of Intersex Individuals. Disturbing Argument: Selected Works from the NCA-AFA Alta Conference on Argumentation (pp. 117-122). New York: Routledge. Topp, S. S. (2013, March). Against the quiet revolution: The rhetorical construction of intersex individuals as disordered. Sexualities, 16 (1&2). Topp, S. S. and Bricker, B.J. (2010). Mandatory Topic Selection. “Special Forum on Argument Trends and Topic Selection.” In Contemporary Argumentation and Debate, 31, 47-55. Keyton, J., Cano, P., Clounch, T. L., Fischer, C. E., Howard, C., Topp, S. S. & Zlatek, M. M. (2011). Ethical storm or model workplace? In S. K. May (Ed. ), Cases in Organizational Communication: Ethical Perspectives and Practices (2nd Ed.). Thousand Oaks, CA: Sage. Keyton, J., Cano, P., Clounch, T. L., Fischer, C. E., Howard, C., Topp, S. S. & Zlatek, M. M. (2006). Ethical storm or model workplace? In S. K. May (Ed. ), Cases in Organizational Communication: Ethical Perspectives and Practices (pp. 153-168). Thousand Oaks, CA: Sage.